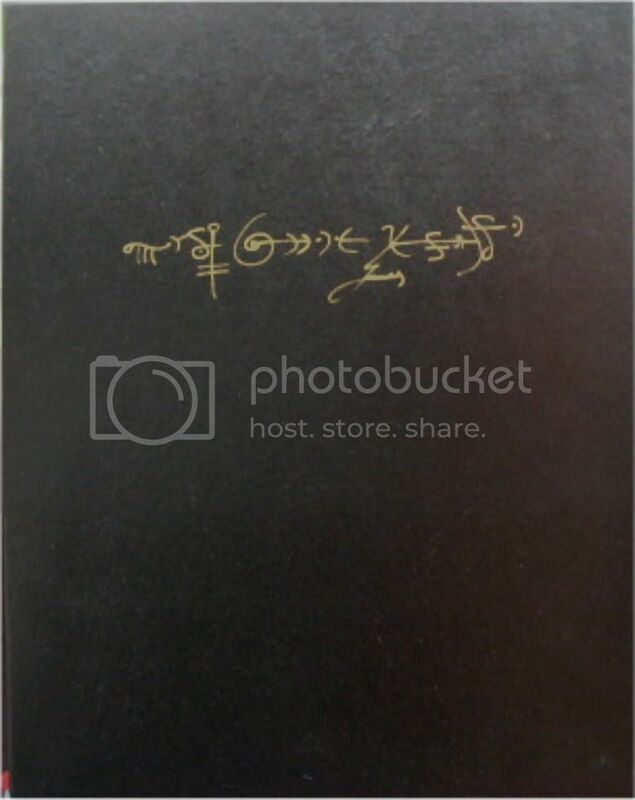 These glyph are on the box of Collector's Edition. we can see most glyph show the name of "james" ,these glyph or language of light is mysterious. this edition includes 15 paintings and the NO.of this limited in its edition size to 1500 units. 15 seems to be a multi-level NO.in wm. if you have Collector's Edition,please post it here,thanks a lot! Last edited by yhg342 on Sun Oct 19, 2014 2:35 am, edited 21 times in total. good question ... and you might add, why these 15? of course they are all from the AA site but what else do they have that makes them important to have in my home ? On our box there is a completely different set of glyphs than the one you show starduster. So I think that each box is written for that box only. That is just my feeling on these glyphs. really ! ... could you please take a picture of the glyphs on your box ... and yhg, could you please repost your picture so we can see if there is a difference. That is very curious to me ... could all 1500 collections have a unique signature on the box? My box has been on the top of boxes that got packed and moved four times ... and received some wear and tear over the past six years ... perhaps I should have taken better care of it? Maybe it is a "ticket"
or could it have been intended to be opened wide/side ways ... with the signature in the bottom left corner ... or the top right ... ? Last edited by starduster on Thu Mar 31, 2011 1:28 am, edited 1 time in total. everyone who has this box,please upload your glyph here,thank you! I got this box in 2010.7. Last edited by yhg342 on Wed Mar 30, 2011 3:28 am, edited 1 time in total. I find that the glyph are different colors.Mine is silver. Ours is gold and it is in the bottom right corner. I think you will find that this is the Senzar writing that James speaks about in the Questions and Answer of the Creator section. Glyphs seem like musical notes to me......and the more I look at them....is like I "hear " a sound in my head that is very comforting......'makes " me want to strive to be more. 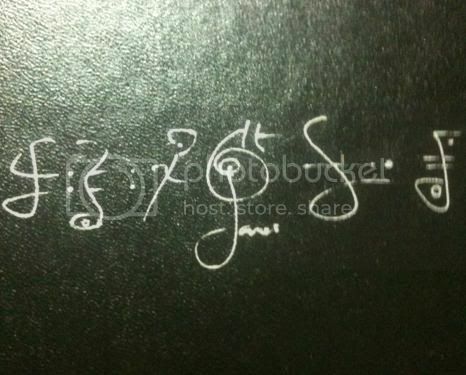 a friend send me her glyph,also includes "james"
This is such a great topic, it is so wonderful to see how much care James puts into these collection sets ... not only to autograph each one, but to add a extra word or two is a really nice touch . more signatures ! sent to yhg Thank you for sharing ! ... what a great topic ! What James has described as the Senzar language, as described by Madame Blavatsky in the Theosophy writings, is defined as: Senzar - The mystic name for the secret sacredotal language of the "Mystery-speech" of the initiated adepts, all over the world. Further, Senzar is considered the "root language" of our earliest forms of language, like hieroglyphics, sanskrit and the ancient Persian "Avestan" language. Senzar is likely one and the same as what is known in certain circles as the "Solex Mal" or "Solar Tongue" or "Mother Tongue". This language is likely the shared galactic language that humanity used prior to the legendary Babylonian event -> "So God said, "Come, let us go down and confound their speech." And so God scattered them upon the face of the Earth, and confused their languages." Anyway, there was a great book written in 1953 called "Other Tongues, Other Flesh" written by a man named George Hunt Williamson. Many argue Williamson is the true inspiration for the Indiana Jones character. Williamson was actively engaged in both archeology and UFO-related research during that period and was well acquainted with Edgar Cayce as well as a man named Don Elkins who was a lifelong UFO researcher and also responsible for the highly compelling, although difficult to read, Ra Material (or Law of One) from 1982-84. 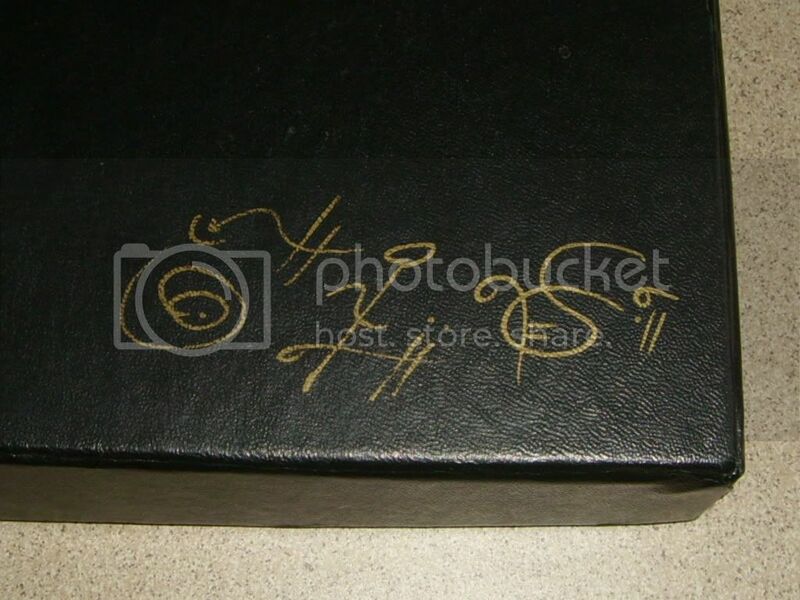 It's some fun reading and they have sketches of many similar symbols to the glyphs on our boxes. Anyway, thought some of you might enjoy poking around with this. It's all quite fascinating, fun and exhilarating, isn't it? I suggest to use scanner instead of camera,but you should adjust the brightness higher in scan software,if you can not use scanner,please shut off the flash light of your camera,place your box in sunlight and take a photo. but really thank you for join this topic! I think you have read SSOA for some time? ssoa changes my life a lot. up to now,silver glyph is less than golden. This is what James wrote when asked about the glyphs in the paintings. Question 34-S3 – I am interested in the paintings and especially the symbols in them. Can these be translated into English? Are they the Senzar symbols, which DK mentions in his writings? concepts of significant importance could be reduced to a symbolic rendering, but the contextual meaning of color and secondary matrix brought the full meaning of the symbol to light, thus its encoding was complete. In other words, you can look at a specific symbol of the 24th Chamber Painting (e.g., the second, primary character in the vertical matrix in the upper left section of the painting). If taken out of its framework, this particular character means one thing, which would transpose to Sanskrit, but when viewed in its contextual matrix, it is elevated to Senzar, where its meaning is encoded as representing the Wholeness Navigator within the human instrument. Senzar is a language that flows between alphabetic characters, mathematical symbols, and musical notes. It is an integrated language, sometimes referred to as the Universal Language of Light or the Insignias of First Source. this pic is better than before,thanks to starduster,I can upload pic now. if you can not see Markzorb's picture,then this is it. It's interesting seeing all these together. I get subtly different "vibes" from each of them. Some of them seem to be drawn by a hand that is "flowing" or loose, others feel more constrained. 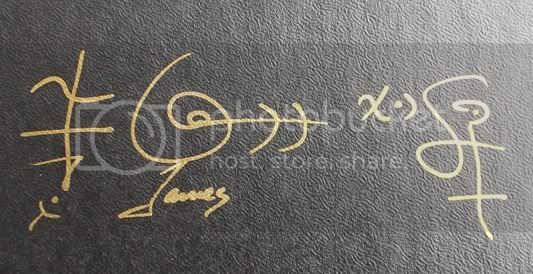 I am not a trained graphologist, but the name "James" looks different in some of the signatures. I wonder if they were all drawn by the same person. Does it matter? Probably not. That is the whole thing about signatures, that they are by one and the same hand. It does matter in so far they exist.